Fibromyalgia is a disorder characterized by widespread musculoskeletal pain accompanied by fatigue, sleep, memory and mood issues. Researchers believe that fibromyalgia amplifies painful sensations by affecting the way your brain processes pain signals. The National Institute of Arthritis and Musculoskeletal and Skin Diseases (NIAMS) states that about 5 million are affected by fibromyalgia in the United States, and 80 to 90% being women. Fibromyalgia tends to affect greatly upon the mental health of the individual. It causes the person mind to feel “foggy” which can lead to anxiety and stress preventing them from performing their day to day activities. Constant tiredness, stiffness and depression are amongst the most prominent symptoms of the condition which not only causes the person to find it difficult to get out of bed every day but also leads to them being withdrawn from their loved ones. The fatigue tends to affect the person routine life while the constant pain in the joints causes them to suffer physically. Despite the efforts out in by many doctors, the cure for the condition is still unknown; however medicines and drugs are available to make the condition a little more bearable. Apart from the medication, some tips and tricks can also help to improve your life. Diet greatly affects the strength of the individual as it determines the mass and strength of the bones. Eating fresh vegetables and healthy food full of vitamin D, is important in this condition as the bones and the body requires additional strength. Vitamin D can be found naturally in some fish, including swordfish, tuna, and sockeye salmon. It is also found in eggs, as well as fortified foods like milk and orange juice. The additional energy that you will get from good food is important to counter the energy lost due to the disorder and thus will allow you to remain more active. Sleep is very important. Get as much rest as possible. Being sleep deprived causes the body to malfunction and therefore having a proper sleep cycle is highly important for people who are suffering from Fibromyalgia. Good night sleep and naps will allow you to be energized and prevents the stress build up. The patients tend to gain many new pressure points upon acquiring the condition thus making their body highly touch sensitive. Therapies like hydrotherapy may help provide short-term relief and smooth physical treatment will allow the body to remain calm and composed upon any form of contact. The condition itself has an element of stress attached to it; therefore it is important to stay away from any additional stress. Through various techniques of relaxation and meditation, sophrology can be a good option to help you relax physically and morally. It can significantly improve your quality of life. The body finds it difficult to cope with the stress in the disorder so staying away from stress inducing circumstances it important. Having stiff joints and cramped legs add up to the mental stress of the patient and thus exercise is amongst the highly recommended activities. A slight workout can allow all the extra tension to seep out from the patient’s bones and the joints tend to relieve the tension. With a proper workout routine, you would be able to prevent your bones from becoming stiff. Along with exercise, a soft physical activity like swimming and cycling is also recommended. 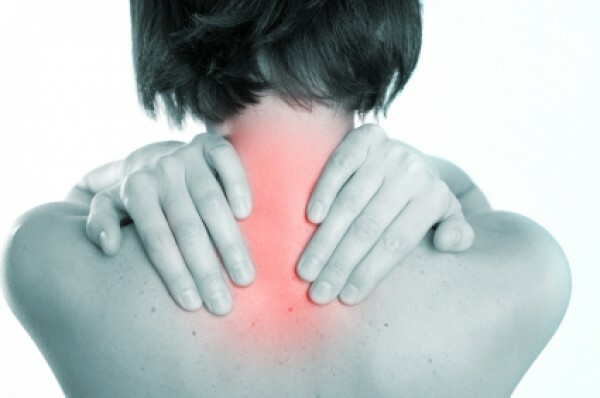 Generally speaking, a significant care and techniques can help make Fibromyalgia be less painful for individuals. But remember to always talk to your doctor before beginning any kind of diet, therapy or activity and refrain yourself from over-exercising as it may add up to their existing pain. We know it is challenging to remain active if you are suffering from severe pain. So why not talk to your local pharmacy about devices that can assist. Many mobility devices like ours, the BiKube™, allow you to stay active without putting pressure on your joints which can be a big relief when you’re suffering from fibromyalgia. © 2019 BiKube. All Rights Reserved.